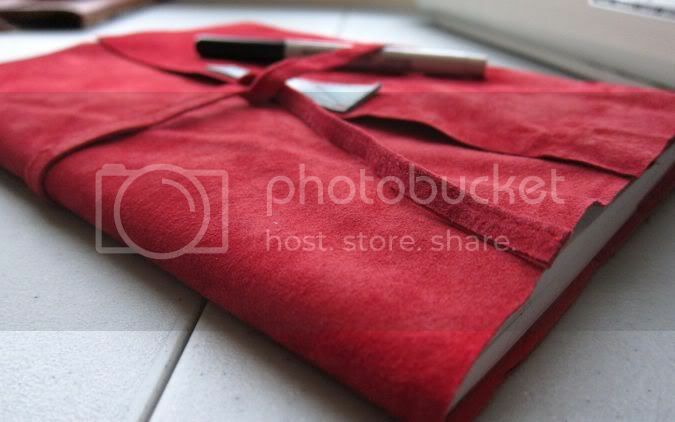 When I'm in a bookstore or browsing online, my eyes are drawn to the beautifully covered journals. Of course, me thinks, there must be a way to turn this into a DIY project. Below is my solution. Nice thing about this version? it's interchangeable. 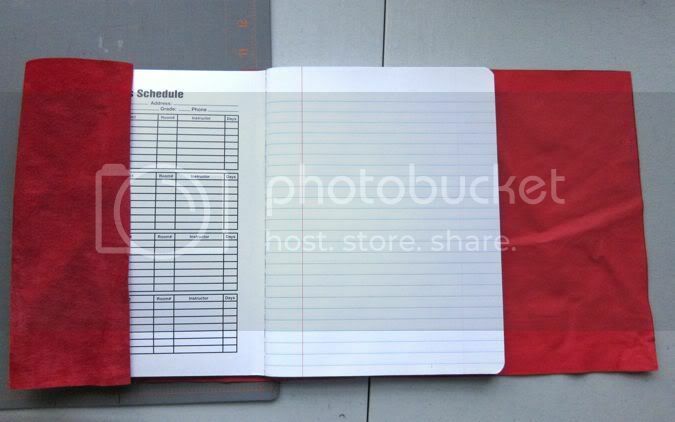 Once your notebook is full, switch it out for another! It's made from recycled materials. 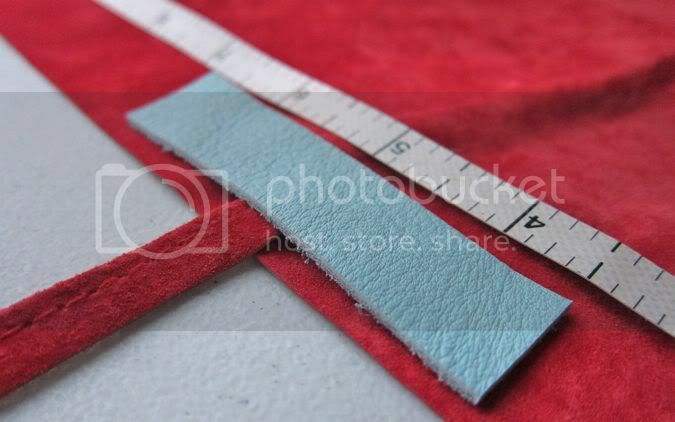 Want to use scrap fabric, felt, leather? Done! 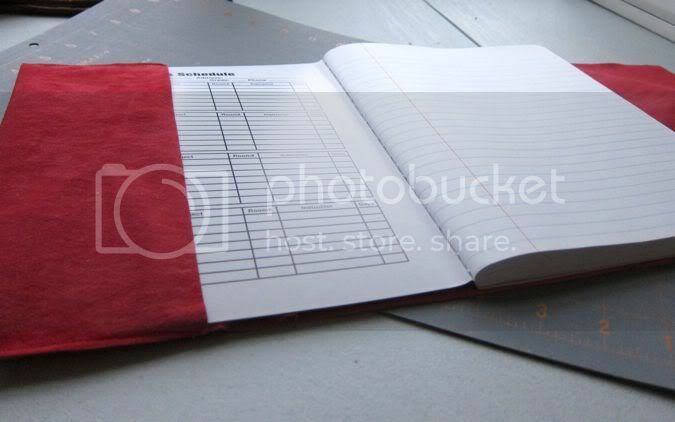 Want to insert a calendar instead of a journal? Done! 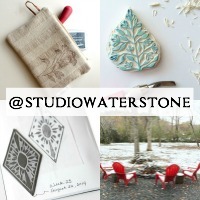 Want to embellish until the cows come home? Done! My handy sketch and measurements. 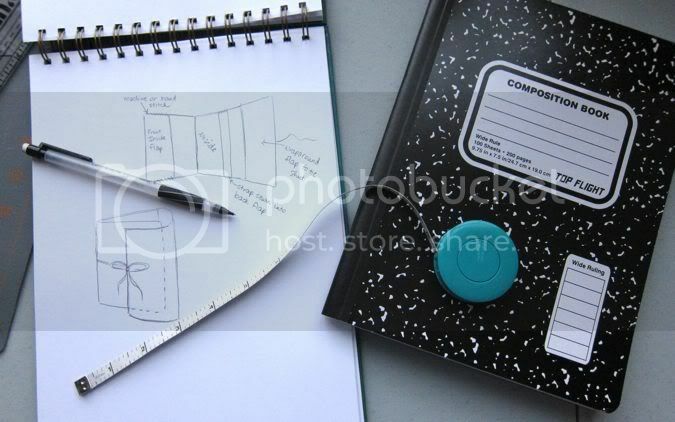 The composition book. 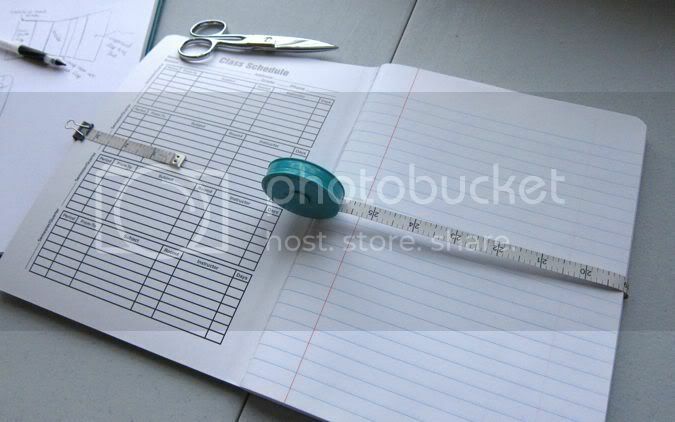 Fold your measuring tape approximately 3 1/2" into the inside flap and around the outside to the other end of the composition book. Close the book and measure in about 3 1/2 - 4". This is your total cutting length. 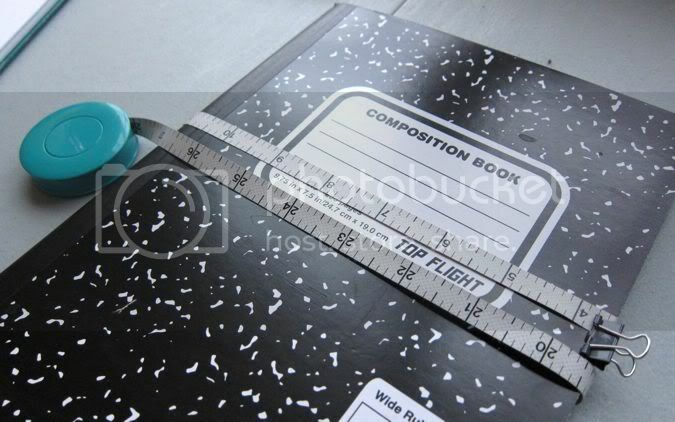 Measure the height of your book and add about 1/4". This is your total cutting height. Cut another strip approximately 2" wide x the total height. 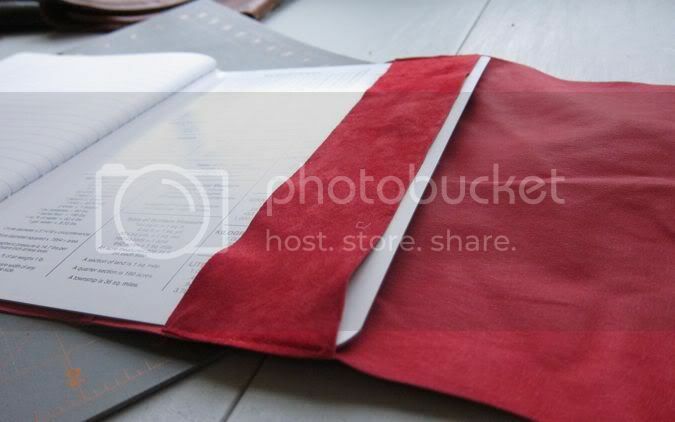 The cut piece folded into the front and hanging out on the backside. 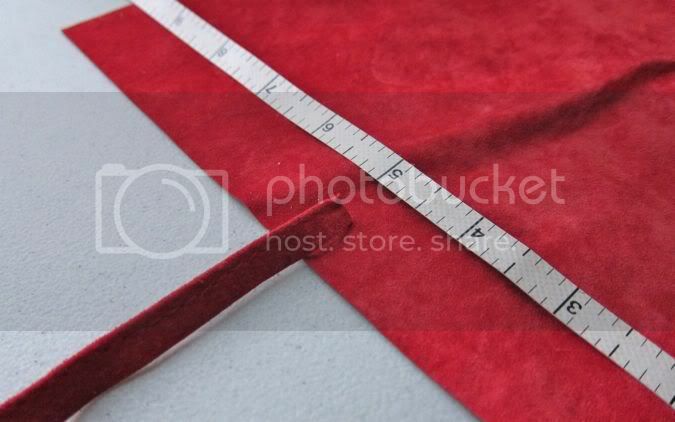 Fold the suede into the inside flap 3 1/2". 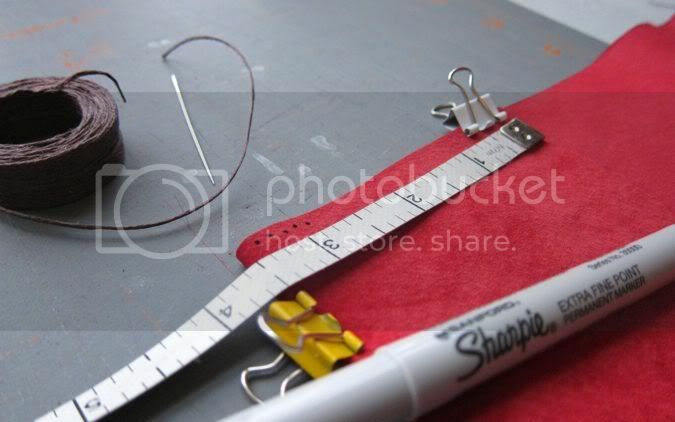 If you're using suede or leather, mark with your sharpie about every 1/8 - 1/4"
If you're using fabric, mark with a fabric marker OR eyeball it when you sew. For the leather or suede, you will want to take your hole punch and hammer and punch through. 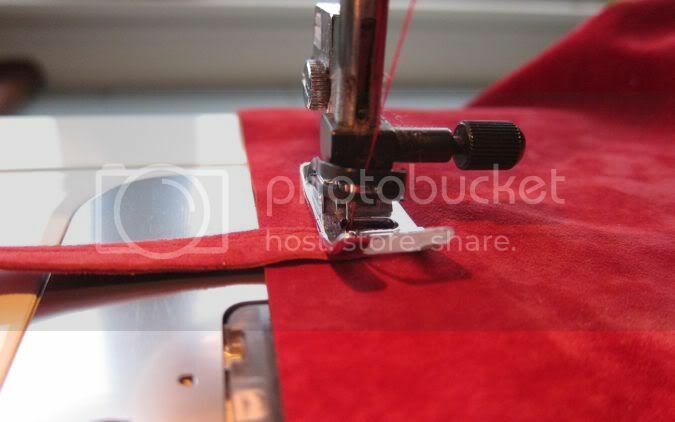 Doing this will make hand sewing A LOT easier on your poor little fingers. 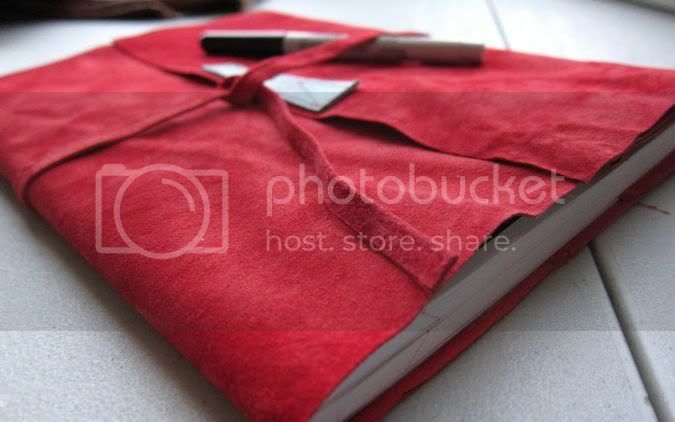 Hand stitch the top and bottom edges where marked. 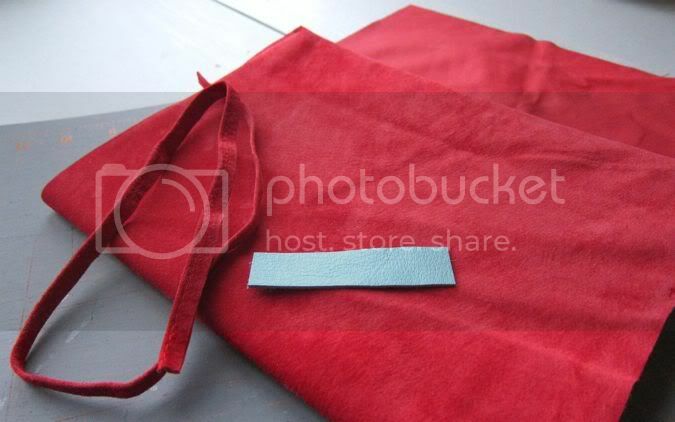 Fold the suede into the inside flap 3 1/2" as shown above. Stitch about 1/8" along the folded flap at the top and bottom edges to form a pocket. 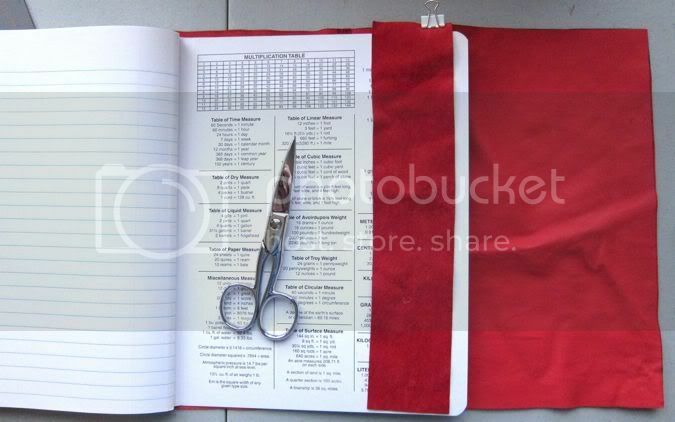 Fit the composition book into the sewn front flap and clip or pin the extra strip about 1/2" inside the back of the composition book. 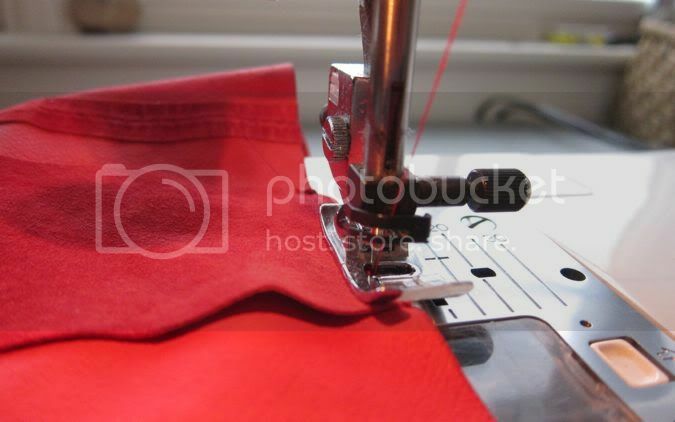 Sew this strip into place. 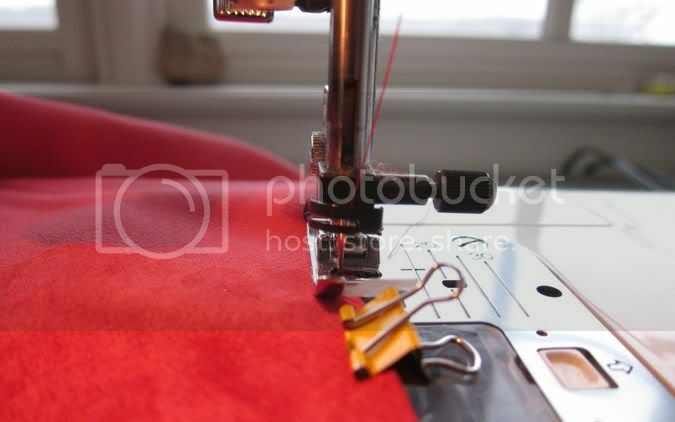 Now you'll need your strip for your tie and any embellishments you'll want to use. to the side which will fold over from the back to the front. I added another small piece of contrasting leather to the top of my tie strip and stitched it into place using contrasting thread. 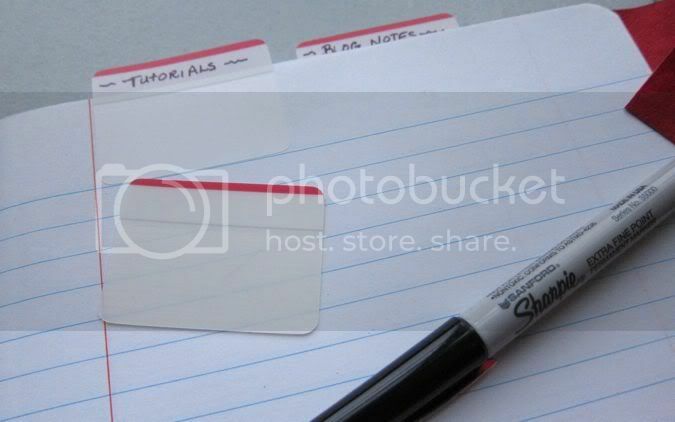 Since I use these notebooks for various things, I'm adding equally spaced sticky tabs. You are done! When closed, wrap your tie around and secure it to the front. 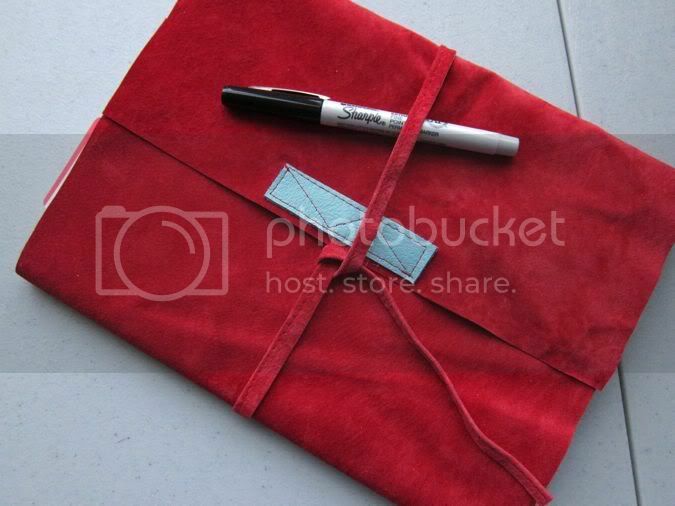 use an old leather/vinyl/fabric handbag as your cover! i absolutely LOVE this! I did one for a friend a couple weeks ago... but i may have to try your style! SUPER cute, the red helps also! Thank you for commenting on our snow fun days.